Heartiest of the congratulations to Dhruv Patel from the team of Nationwide! 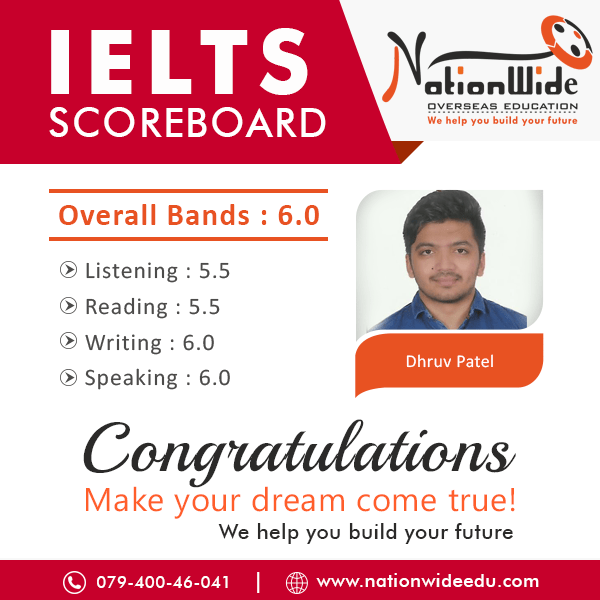 Like many of our students, he also has been able to score overall 6.0 band in IELTS exam. He achieved optimal results. We wish that he keep evolving at every stage in life. You can also achieve your desired score with help of our expert consultant.